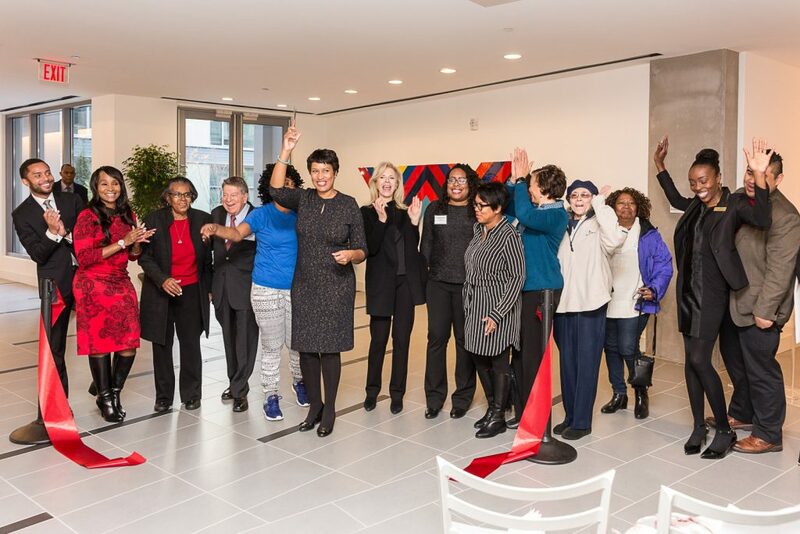 December 11, 2017 – On November 27th, we officially celebrated The Modern at Art Place with a special ribbon-cutting ceremony where we welcomed Mayor Muriel Bowser into our community as a keynote speaker. 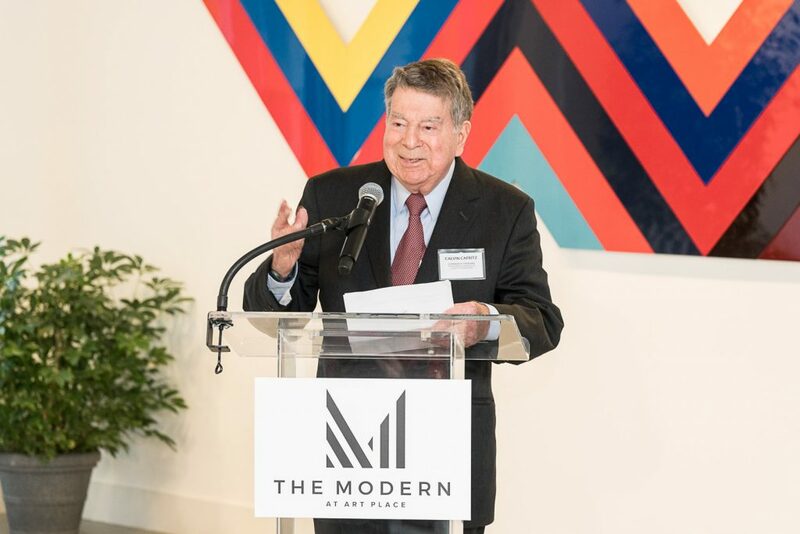 The event also featured remarks by Calvin and Jane Cafritz from The Morris and Gwendolyn Cafritz Foundation, who both spoke on what The Modern at Art Place represents within the D.C. community. Once completed, The Modern at Art Place will include 170,000 square feet of cultural and art spaces for its residents as well as the brand new and relocated Explore! Children’s Museum, transforming the area into an accessible community rooted in a rich cultural history. Calvin and Jane Cafritz highlighted the inspiration behind The Modern at Art Place and how its design stemmed from a revitalization of the Riggs Plaza community. “This project fits with the mission of the Cafritz Foundation by my father in 1948 [which was] to improve the lives of those in the Washington, D.C. area,” said Calvin Cafritz, President of The Morris and Gwendolyn Cafritz Foundation. 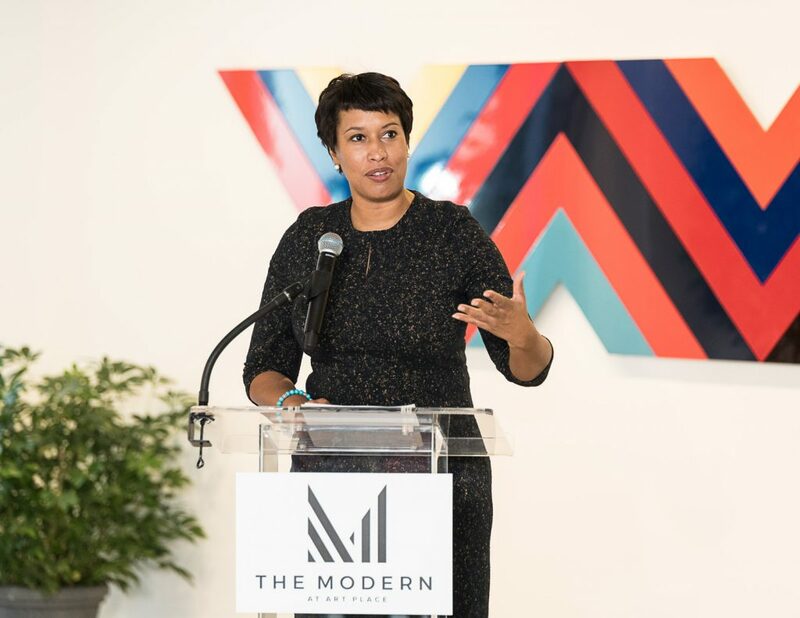 Following Calvin and Jane Cafritz’ remarks, Mayor Bowser reminisced on growing up in Ward 4 and how she witnessed the transformation of the area. She acknowledged The Modern at Art Place as a symbol of growth and progress within Fort Totten. “You are not going to find a better neighborhood neighbors committed to taking care of their homes, raising their families – people who have really built this city. They wanted to make sure they wanted to lead and guide the transformation of their neighborhood,” said Mayor Muriel Bowser. The goal behind The Modern at Art Place is for it to serve as a beacon of culture within the Fort Totten community. Inspired by the achievements of the Washington Color School, we aspire to deliver a contemporary backdrop for unique living in a burgeoning part of the city that serves as a transportation hub, with a Metro and bus line located right next door. After a few months since our opening, we were excited to meet with everyone to celebrate our achievement through our official ribbon cutting. Take a look at a full recap of the event here. We are proud of the growth The Modern at Art Place has brought and is bringing to the area and are excited to embark on our Phase 1 journey towards growing the community—this is just one part of a larger transformation that will bring vibrancy and more cultural offerings to the city of Washington, D.C.